doc. Mgr. Jan Riegert, Ph.D.
Ševčík, R., Riegert, J., Šindelář, J., & Zárybnická, M. (2019). Vocal activity of the Central European Boreal Owl population in relation to varying environmental conditions. Ornis Fennica 96, 1-12. Riegert, J., & Jůzlová, Z. (2018). Vocal mimicry in the song of Icterine Warbler (Hippolais icterina): possible functions and sources of variability. Ethology Ecology & Evolution, 30(5), 430-446. Luka, V., & Riegert, J. (2018). Apodemus mice as the main prey that determines reproductive output of Tawny Owl (Strix aluco) in Central Europe. Population Ecology, 60(3), 237-249. Chmel, K., Riegert, J., Paul, L., Mulau, M., Sam, K., & Novotny, V. (2018). Predation on artificial and natural nests in the lowland rainforest of Papua New Guinea. Bird Study 65(1), 114-122. Pavliska, P.L., Riegert, J., Grill, S., & Šálek, M. (2018). The effect of landscape heterogeneity on population density and habitat preferences of the European hare (Lepus europaeus) in contrasting farmlands. Mammalian Biology, 88, 8-15. Zárybnická, M., Riegert, J., Bejček, V., Sedláček, F., Šťastný, K., Šindelář, J., Heroldová, M., Vilímová, J., & Zima, J. (2017). Long-term changes of small mammal communities in heterogenous landscapes of Central Europe. European Journal of Wildlife Research, 63, 89. Zanata, T. B., Dalsgaard, B., Passos, F. C., Cotton, P. A., Roper, J. J., Maruyama, P. K., Fischer, E., Schleuning, M., Martín González, A. M., Vizentin-Bugoni, J., Franklin, D. C., Abrahamczyk, S., Alárcon, R., Araujo, A. C., Araújo, F. P, Azevedo-Junior, S. M., Baquero, A. C., Carstensen, D. W. Chupil, H., Coelho, A. G., Hořák, D., Ingversen, T. T., Janeček, Š., Kohler, G., Lara, C., Las-Casas, F. M. G., Ariadna, Lopes, V., Machado, A. O., Machado, C. G., Machado, I. C., Maglianesi, M. A., Malucelli, T. S., Mohd-Azlan, J., Moura, A. C., Oliveira, G. M., Oliveira, P. E., Ornelas, J. F., Riegert, J., Rodrigues, L. C., Rosero-Lasprilla, L., Rui, A. M., Sazima, M., Sedláček, O., Timmermann, A., Wang, Z., Watts, S., Rahbek, C., & Varassin, I. G. (2017). Bird-flower interactions are more specialized in the New World than in the Old World. Journal of Biogeography, 44(8), 1891-1910. Zárybnická, M., Riegert, J., Kloubec, B., & Obuch, J. (2017). The effect of elevation and habitat cover on nest box occupancy and diet composition of Boreal Owl Aegolius funereus. Bird Study, 64(2), 222-231. Zárybnická, M., Riegert, J., & Šťastný, K. (2017). Seasonal habitat-dependent change in nest box occupation by Tengmalm’s owl associated with a corresponding change in nest predation. Population Ecology, 59, 65-70. Chmel, K., Riegert, J., Paul, L., & Novotný, V. (2016). Vertical stratification of an avian community in New Guinean tropical rainforest. Population Ecology, 58(4), 535-547. Šálek, M., Riegert, J., & Grill, S. (2015). The House Sparrows Passer domesticus and Tree Sparrows Passer montanus: fine-scale distribution, population densities, and habitat selection in a Central European city. Acta Ornithologica, 50(2), 221-232. Říčánková, V., Robovský, J., Riegert, J., & Zrzavý, J. (2015). Regional patterns of postglacial changes in the Palearctic mammalian diversity indicate retreat to Siberian steppes rather than extinction. Scientific Reports, 5, 12682. Zárybnická, M., Kloubec, B., Obuch, J., & Riegert, J. (2015). Fledgling productivity in relation to diet composition of Tengmalm’s owl in Central Europe. Ardeola, 62(1), 163-171. Zárybnická, M., Riegert, J., & Kouba, M. (2015). Indirect food web interactions affect predation of Tengmalm’s Owls Aegolius funereus nests by Pine Martens Martes martes according to the alternative prey hypothesis. Ibis, 157, 459-467. Červinka, J., Riegert, J., Grill, S., & Šálek, M. (2015). Large scale evaluation of carnivore road mortality: the effect of landscape and local scale characteristics. Mammal Research, 60(3), 233-243. Šálek, M., Havlíček, J., Riegert, J., Nešpor, M., Fuchs, R., & Kipson, M. (2015). Winter density and habitat preferences of three declining granivorous farmland birds: the importance of the keeping of poultry and dairy farms. Journal for Nature Conservation, 24, 10-16. Zárybnická, M., Riegert, J., & Šťastný, K. (2015). Non-native spruce plantations represent a suitable habitat for Tengmalm’s Owl (Aegolius funereus) in the Czech Republic, Central Europe. Journal of Ornithology, 156, 457-468. Šálek, M., Červinka, J., Banea, O. C., Krofel, M., Ćirović, D., Selanec, I., Penezić, A., Grill, S., & Riegert, J. (2014). Population densities and habitat use of the golden jackal (Canis aureus) in farmlands across the Balkan Peninsula. European Journal of Wildlife Research, 60, 193-200. Pavelková – Řičánková, V., Riegert, J., Semančíková, E., Hais, M., Čejková, A., & Prach, K. (2014). Habitat use in gray marmots (Marmota baibacina). Acta Theriologica, 59(2), 317-324. Riegert, J., Antczak, M., Fainová, D., & Blažková, P. (2014). Group display in the socially monogamous Northern Double-collared Sunbird (Cinnyris reichenowi). Behavioural Processes, 103, 138-144. Zárybnická, M., Riegert, J., & Šťastný, K. (2013). The role of Apodemus mice and Microtus voles in the diet of Tengmalm’s owl in Central Europe. Population Ecology, 55(2), 353-361. Lövy, M., & Riegert, J. (2013). Home range and land use in urban Long-eared owls. The Condor, 115(3), 551-557. Janeček, Š., Riegert, J., Sedláček, O., Bartoš, M., Hořák, D., Reif, J., Padyšáková, E., Fainová, D., Antczak, M., Pešata, M., Mikeš, V., Patáčová, E., Altman, J., Kantorová, J., Hrázský, Z., & Doležal, J. (2012). Food selection by avian floral visitors: an important aspect of plant-flower visitor interactions in West Africa. Biological Journal of the Linnean Society, 107, 355-367. Jůzlová, Z., & Riegert, J. (2012). The vocal mimicry in the song of icterine warbler, Hippolais icterina (Sylviidae, Passeriformes). Folia Zoologica, 61(1), 17-24. Riegert, J. & Fuchs, R. (2011). Fidelity to roost sites and diet composition of wintering male urban Common Kestrels (Falco tinnunculus). Acta Ornithologica, 46(2), 183-189. Zárybnická, M., Riegert, J., & Šťastný, K. (2011). Tengmalm’s owl diet composition: a comparison of camera surveillance and pellet analysis. Ornis Fennica, 88, 147-153. Riegert, J., Fainová, D., Antczak, M., Sedláček, O., Hořák, D., Reif, J., & Pešata, M. (2011). Food niche differentiation in two syntopic sunbird species: a case study from the Cameroon Mountains. Journal of Ornithology, 152, 819-825. Šálek, M., Riegert, J., & Křivan, V. (2010). The impact of vegetation characteristics and prey availability on habitat use and diet of the Little Owl (Athene noctua) in Central European farmland. Bird Study, 57, 495-503. Hořák, D., Sedláček, O., Reif, J., Riegert, J., & Pešata, M. (2010). 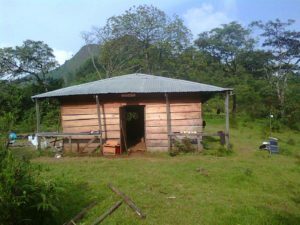 When savannah encroaches on the forest: thresholds in bird-habitat associations in the Bamenda Highlands, Cameroon. African Journal of Ecology, 48, 822-827. Riegert, J., Fainová, D., & Bystřická, D. (2010). Genetic variability, body characteristics and reproductive parameters of neighbouring rural and urban common kestrel (Falco tinnunculus) populations. Population Ecology, 52(1), 73-79. Riegert, J., Lövy, M., & Fainová, D. (2009). Diet composition of Common Kestrels Falco tinnunculus and Long-eared Owls Asio otus coexisting in an urban environment. Ornis Fennica, 86(4), 123-130. Hutterer, R., Riegert, J., & Sedláček, O. (2009). A tiny new species of Sylvisorex (Mammalia: Soricidae) from the Bamenda Highlands, Cameroon. Bonner Zoologische Beiträge, 56(3), 151-157. Skoracki, M., Antczak, M., Riegert, J., Fainová, D., & Mikeš, V. (2009). New species and new records of quill mites (Acari: Syringophilidae) inhabiting African passerines (Aves: Passeriformes). Acta Zoologica Academiae Scientiarum Hungaricae, 55(2), 123-137. Riegert, J., Sedláček, O., & Hutterer, R. (2008). Diet of sympatric African grass owl (Tyto capensis) and spotted eagle owl (Bubo africanus) in the Bamenda Highlands, NW Cameroon. African Journal of Ecology, 46, 428-431. Riegert, J., Antczak, M., & Fainová, D. (2008). The first record of Short-eared Owl Asio flammeus in SW Cameroon. Malimbus, 30, 165-167. Reif, J., Sedláček, O., Hořák, D., Riegert, J., Pešata, M., Hrázský, Z., & Janeček, Š. (2007). Habitat preferences of birds in a montane forest mosaic in the Bamenda Highlands, Cameroon. Ostrich, 78(1), 31–36. Janeček, Š., Hrázský, Z., Bartoš, M., Brom, M., Reif, J., Hořák, D. Bystřická, D., Riegert, J., & Pešata, M. (2007). Importance of big pollinators for the reproduction of two Hypericum species in Cameroon, West Africa. African Journal of Ecology, 45, 607-613. Riegert, J., Fainová, D., Mikeš, V., & Fuchs, R. (2007). How urban kestrels Falco tinnunculus divide their hunting grounds: partitioning or cohabitation? Acta Ornithologica, 42(1), 69-76. Riegert, J., Dufek, A., Fainová, D., Mikeš, V., & Fuchs, R. (2007). Increased hunting effort buffers against vole scarcity in an urban kestrel Falco tinnunculus population. Bird Study, 54, 353-361. Riegert J., Mikeš V., & Fuchs R. (2007). What determines hunting effort and hunting success in Common Kestrels (Falco tinnunculus) breeding in two areas with different degree of landscape urbanization? Buteo, 15, 27-38. Sedláček, O., Reif, J., Hořák, D., Riegert, J., Pešata, M., & Klvaňa, P. (2007). The birds of a montane forest mosaic in Big Babanki area, Bamenda Highlands, Cameroon. Malimbus, 29, 89-100. Sedláček, O., Hořák, D., Riegert, J., Reif J., & Horáček, I. (2006). Comments on Welwitsch’s mouse-eared bat (Myotis welwitschii) with the first record from Cameroon. Mammalian Biology, 71(2), 120-123. Reif, J., Hořák, D., Sedláček, O., Riegert, J., Pešata, M., Hrázský, Z., Janeček, Š., & Storch, D. (2006). Unusual abundance-range size relationship in an Afromontane bird community: the effect of geographic isolation? Journal of Biogeography, 33, 1959-1968. Riegert, J., & Fuchs, R. (2004). Insects in the diet of urban kestrels from central Europe: An alternative prey or constant component of the diet? Ornis Fennica, 81, 23-32. Sedláček, O., Hořák, D., Riegert, J., Reif, J., & Pešata, M. (2004). Poznámky k výskytu migrantů v Kamerunu. Sylvia, 40, 63-78. Sedláček, O., Hořák, D., Reif, J., & Riegert, J. (2004). A new record of Grey-necked Picathartes (Picathartes oreas) in Cameroon. Malimbus, 26, 31-32. Riegert, J., Přibylová, A., & Sedláček, O. (2004). Notes on calls of the Yellow-breasted Boubou (Laniarius atroflavus) during the breeding season in NW Cameroon. Biological Letters, 41(2), 181-184. Riegert, J., & Lövy, M. (2012). Koexistence poštolky obecné (Falco tinnunculus) a kalouse ušatého (Asio otus) v Českých Budějovicích. Sborník Jihočeského Muzea v Českých Budějovicích, Přírodní vědy, 52, 45-51. Riegert, J., & Janeček, Š. (2009). Přírodovědecký výzkum v kamerunských horách. Jihočeská univerzita, 1/2009, 62-63. Janeček, Š, Janečková, P., Riegert, J., & Sedláček, O. (2004). Za přírodou Kamerunu I. Živa, 1/2004, 42-44. Janeček, Š, Janečková, P., Riegert, J., & Sedláček, O. (2004). Za přírodou Kamerunu II. Živa, 2/2004, 89-91. Sedláček O., Riegert, J., Janeček Š., Janečková, P., Přibylová, A., & Vanišová, D. (2003). Kamerun III. Savana. Ptačí svět, 11(1), 12. Riegert, J. (2003). Výsledky akce Poštolka obecná – Pták roku 2002. Ptačí svět, 11(2), 4-5. Dusík, M., Formánek, J., Plesník, J., Riegert, J., Škopek, J., & Voříšek P. (2002). Pták roku 2002 – Poštolka obecná (Falco tinnunculus). 12 pp. Sedláček, O., Riegert, J., Janeček, Š., Janečková, P., Přibylová, A., & Vanišová, D. (2002). Kamerun I. Města, pobřeží a tropický deštný les. Ptačí svět, 9, 12. Riegert, J., Sedláček, O., Janeček, Š., Janečková, P., Přibylová, A., & Vanišová, D. (2002). Kamerun II. Hory. Ptačí svět, 10(2), 12. Riegert, J. (2011). Raptors in urban environment: A case study on Common Kestrel and Long-eared Owl. Nova Science Publihers, Hauppauge N.Y.
Riegert, J. (2008). Common Kestrel. In: Cepák, J., Klvaňa, P., Formánek, J., Hořák, D. Jelínek, M., Schröpfer, L., Škopek, J., & Zárybnický, J. (Eds.) Czech and Slovak Bird Migration Atlas. Aventinum, Praha. Riegert, J. (2008). Common Buzzard. In: Cepák, J., Klvaňa, P., Formánek, J., Hořák, D. Jelínek, M., Schröpfer, L., Škopek, J., & Zárybnický, J. (Eds.) Czech and Slovak Bird Migration Atlas. Aventinum, Praha. Riegert, J., & Schröpfer, L. (2008). Eurasian Sparrowhawk. In: Cepák, J., Klvaňa, P., Formánek, J., Hořák, D. Jelínek, M., Schröpfer, L., Škopek, J. & Zárybnický, J. (Eds.). Czech and Slovak Bird Migration Atlas. Aventinum, Praha. Sedláček, O., Fuchs, R., Riegert, J., Pojer, F., & Homolka, P. (2005). Ptáci Středních Brd. In: Cílek, V. (Ed.) Střední Brdy. Mze ČR, MŽP ČR, ČSOP Příbram a Kancelář pro otázky ochrany přírody a krajiny, Příbram. – Mlhou a pralesem. National Geographic, červen 2009: 24-32. – Přednáška: Příroda kamerunských hor, 2.4.2009, Prácheňské muzeum, Písek. – Černoch nosí okna i dveře na hlavě. MF Dnes, 21.1.2009. – Afriku si vysnili U Havrana. MF Dnes, 25.1.2008.